Saw this guy and 4 of his friends out back this afternoon. We had to move our chicken feed cans inside the barn because something keeps trying to break into them. Perhaps this shady little gang? 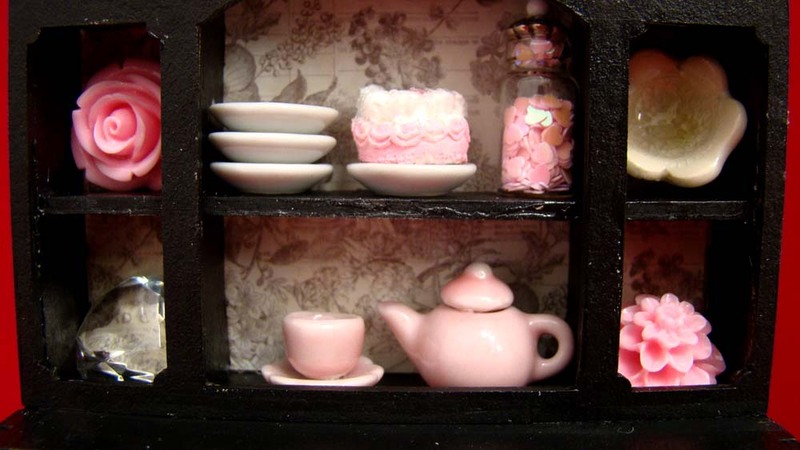 For my latest project, I was inspired to decorate the GSL 3 Panel Hutch with some sweet pink and white goodies for Valentine’s Day. As always, I started this project by laying out all the pieces. This really helps me with assembly. 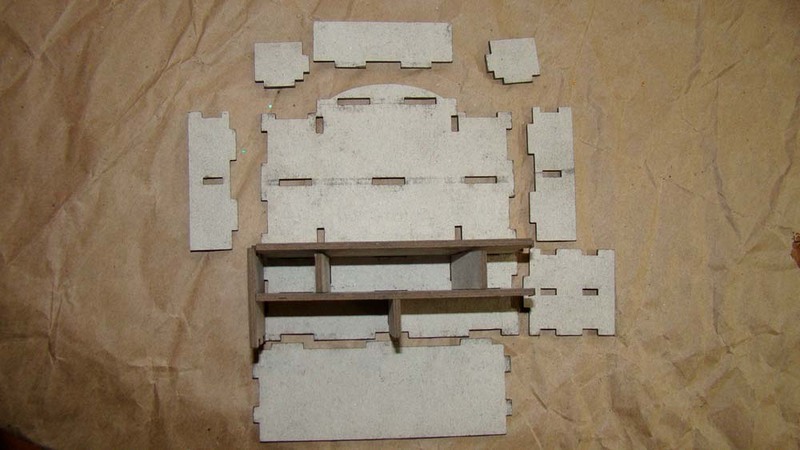 The shelves of the hutch are put together from these three notched pieces. 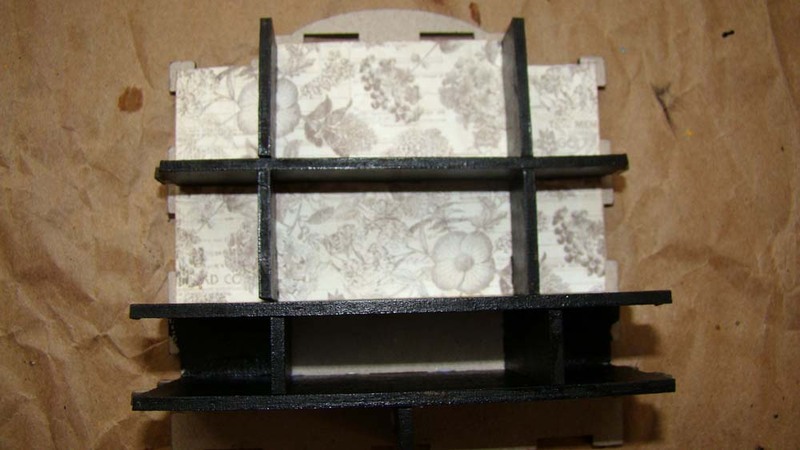 Here is what the shelves will look like when glued into place. Before gluing, I cut a piece of paper from the Graphic 45 Botanical Tea collection for the interior back wall of the piece. I like this paper for the hutch because it’s nice and neutral, and who doesn’t enjoy a subtle botanical print? 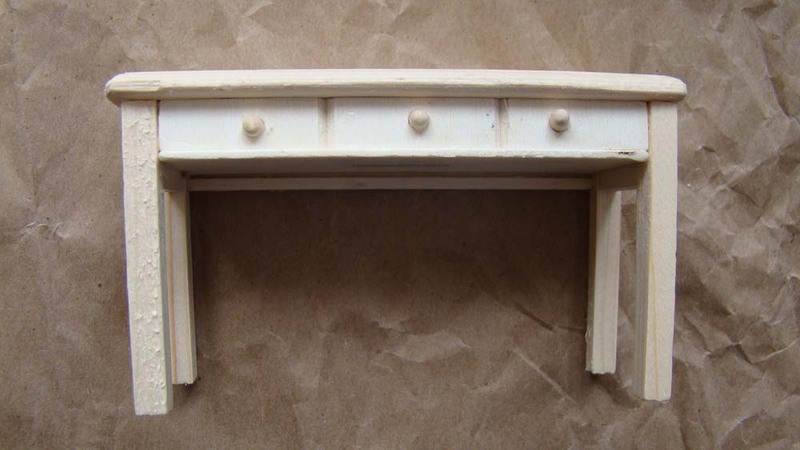 I adhered it onto the interior wall of the hutch then used an X-Acto knife and nail file to expose the assembly notches. 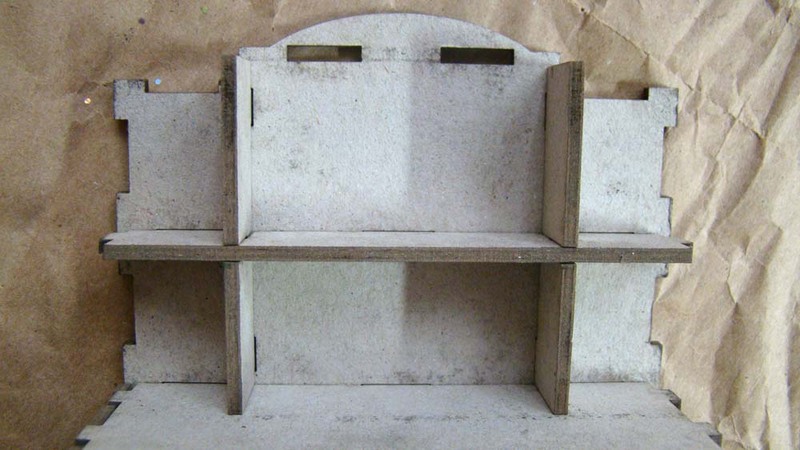 The hutch pieces were painted with black acrylic paint then glued into place using tacky glue. The hutch needs something to sit on and I had this perfect little table from the dollar store. 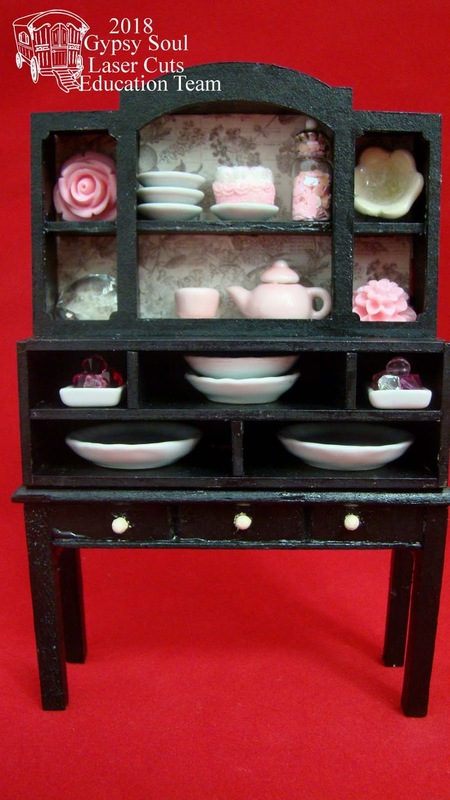 This was also painted black with the exception of contrasting cream colored knobs. 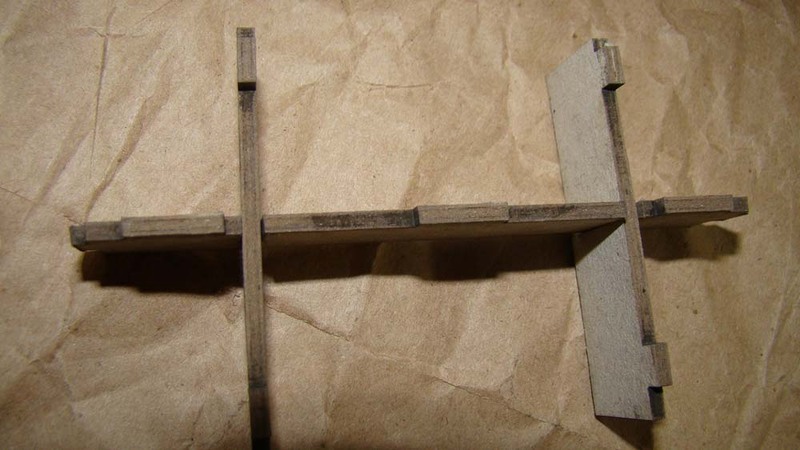 The two pieces were then glued together for a finished piece. Since I made this a basic black and cream, it can be decorated for any season. Since it’s February, I chose a few pink and white accessories. 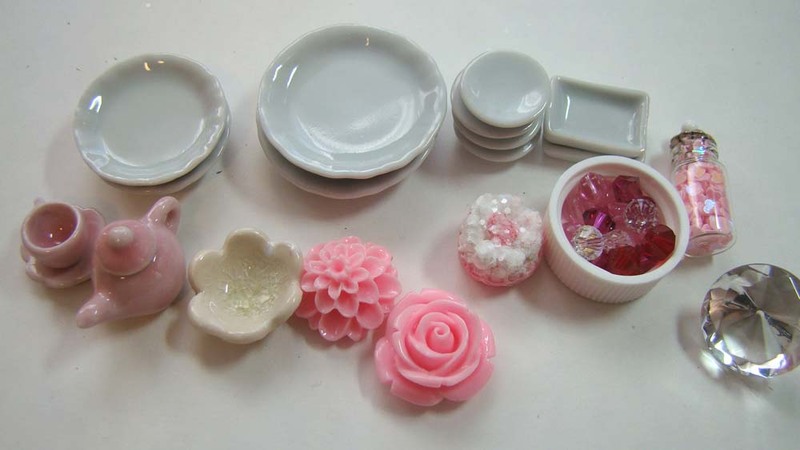 I used some miniature porcelain dishes, pink resin flowers, a large diamond crystal, Swarovski beads, a tiny molded clay cake and a small glass bottle containing nail art hearts. I plan to change it out for Easter, Halloween and Christmas. The hutch also comes with easily assembled drawers but I decided I like the look of open shelves to show off a few miniature platters. The finished piece is one I’d love to have regular sized in real life. Thanks for stopping by! Happy Saturday everyone! I’ve been playing with the super versatile GSL House Jewelry Pieces. I considered using them as a focal point in a larger assemblage but kept coming back to the idea of turning them into actual jewelry and decided on a trio of quirky circus themed pins using tiny train figurines. 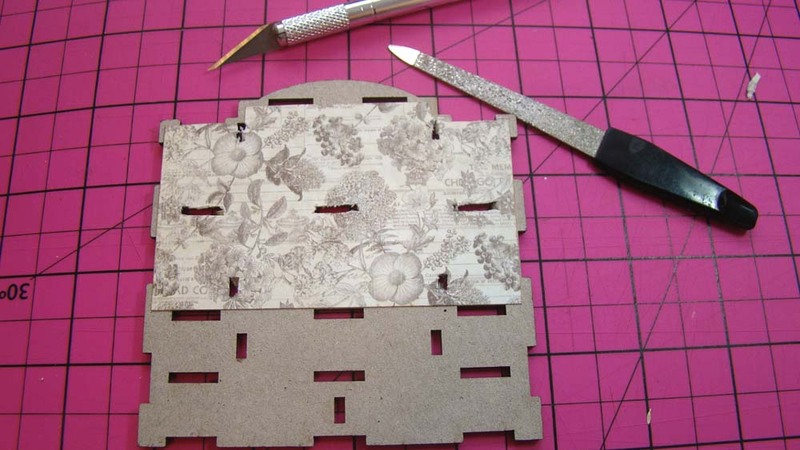 If you’d like to see how they are made, hop on over to Gypsy Soul Laser Cuts Blog.